← Project LBB: What is it? The first thing I did was separate the maps into eastern and western, then went through the eastern maps to write down the names of species. A single map could have as many as 5 species on it, from California to Florida, so this did take some time! My species list came in at 179. Yikes. I think I will cheat and not cover all of Tribe Scymnini…. That was Days 1 and 2. Day 3 was going through Gordon again and recording the length and width of every species he provided those for. Most of Tribe Scymnini didn’t have measurements (another reason to avoid them!) 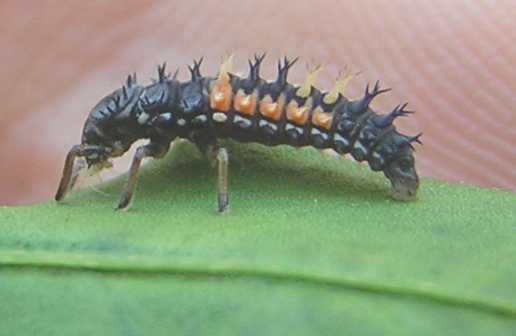 and for some reason he didn’t give widths for genus Coccinella…not sure what I’m going to do about that. 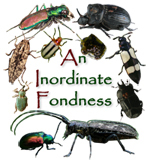 Go to BugGuide.net and look at measurements for the beetles people have photographed, I suppose. So, having fun reading this yet? LOL! I was actually having fun doing it. Day 4 was number-crunching time: figuring out the average of minimum/maximum length and width, and then figuring out the ratio of that average. This took MUCH longer than it should have because Microsoft Excel is evil….not as evil as Microsoft Word, but seriously, it took me about an hour to figure out how to divide with it. The function lists are just insane and don’t seem to include division or subtraction! 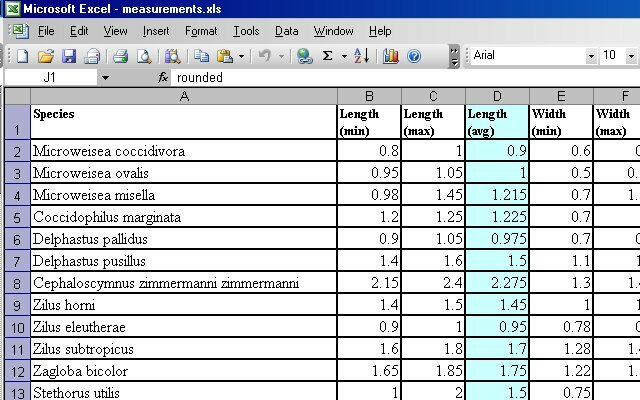 And that’s where I am now; I’ve got my ratios for all the beetles Gordon provided length and width for. Next up, using a graphics program to draw ellipses with those ratios. 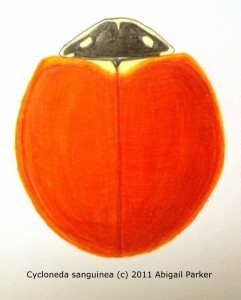 That way, I can outline the general shape of each beetle with the correct proportions. No freehand ovals! My husband, God bless him, has already said he’ll do the ovals for me. Once I’ve got a few of them, I’ll start to do the real drawings. Stay tuned! 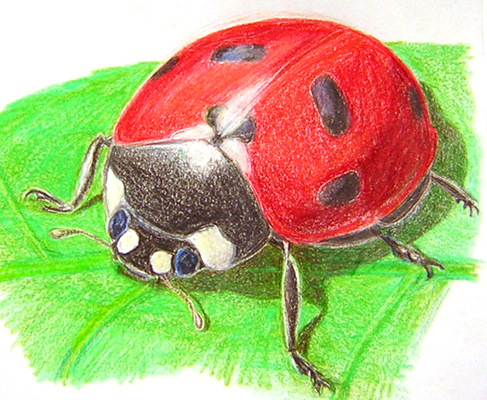 This entry was posted in Bug Links, Insects, Lady beetles, Project LBB, Writing and tagged book, BugGuide, Gordon, lady beetle, ladybird, ladybug, project lbb, writing. Bookmark the permalink.